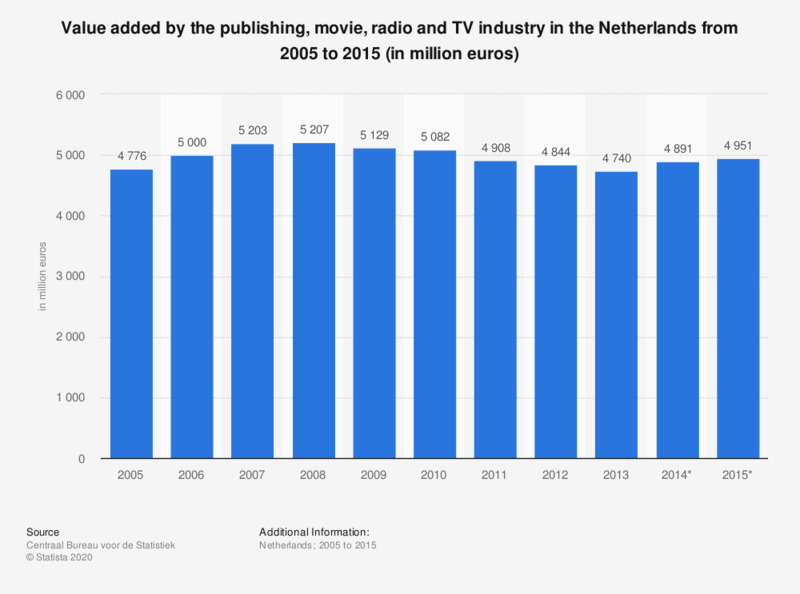 This statistic displays the value added by the publishing, movie, radio and TV industry in the Netherlands from 2005 to 2015 (in million euros). It shows that as of 2015, the added value of the Dutch publishing, movie, radio and TV industry amounted roughly five billion euros. According to the source, this sector includes: "Publishing; Motion picture and television programme production and distribution; sound recording and music publishing; Programming and broadcasting". Women: Do you share and post photos you took? Women: Do other people come to you for information or advice on the topic of shopping?